The next phase in my adventure begins as I enter the world of ebru, or 'cloud art', as it was named in Turkey. 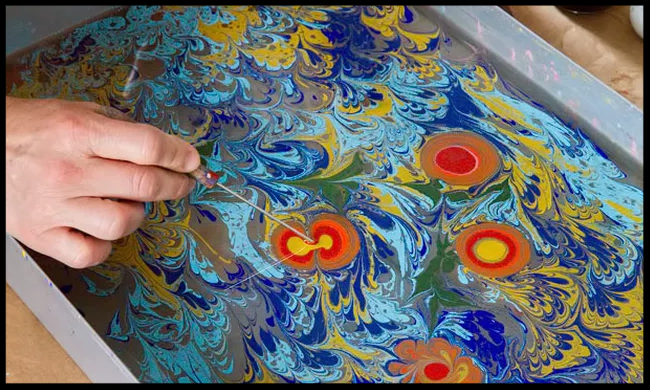 'Paper marbling', as it's known today, involves creating a pattern out of paint or ink that's been treated, spotted onto the surface of thickened water, and then transferred onto paper by laying it on top and lifting it off. I'll be using this process to add another bespoke feature to my books: marbled endpapers. Marbling is so named for its signature effect: for the veins and ripples that resemble features of the stone itself. The art began its life shrouded in secrecy. Originating in Japan in the 12th century, it was confined to the royal household, to paper reserved for poetry, calligraphy and letters. Likewise in Turkey, where marbling emerged in the 15th century, its techniques and use were restricted to a few court artists. 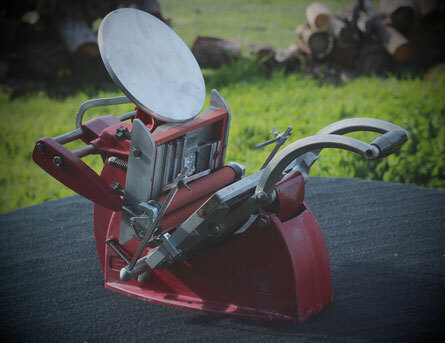 Here it was used as a base on which to print political documents, deterring attempts of political enemies at forgery. No one would be able to erase or change these documents without spoiling the marbled design. 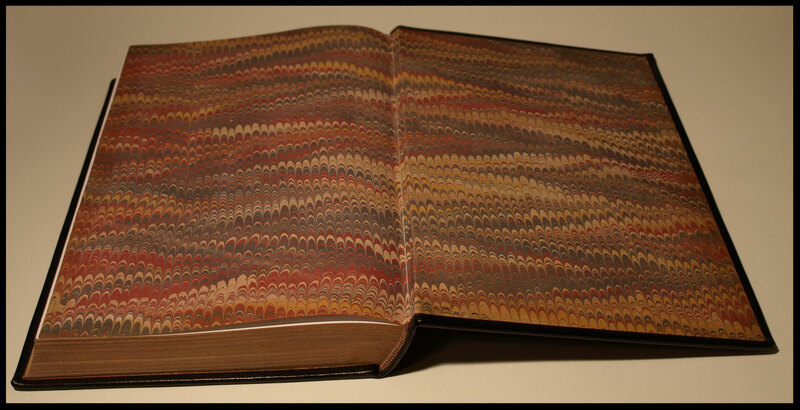 And in England as late as the 19th century, jealous craftsmen guarded their techniques―even from their own apprentices!―so that they might have an edge in what had become the thriving industry of book end papers. 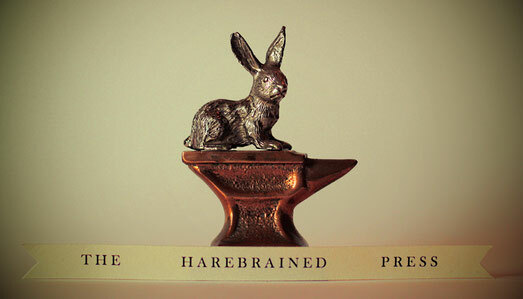 When book production became mechanised in the 19th century, the practice faded away. It wasn't until the 1970s, when hand crafts became fashionable again, that cloud art had its revival. So, wish me luck as I endeavor to learn another technical and specialised craft. Trials, tribulations and photos of my progress soon to come!